The patch we have been waiting on for Middle-earth: Shadow of Mordor [Steam, Feral Interactive] is finally live and fixes a major graphical bug on NVIDIA drivers. 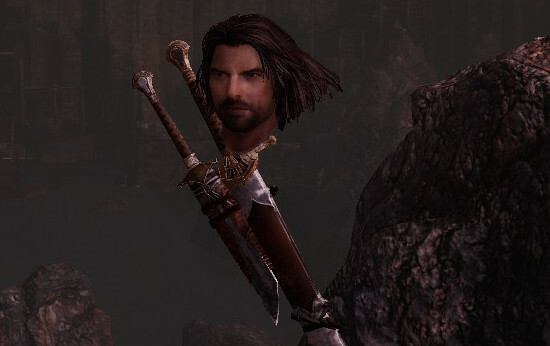 You might not remember, but Mordor on Linux had a bad case of missing body syndrome. This patch will remove the need for any workarounds on later NVIDIA drivers. Something not specifically mentioned in their changelog, but nice to see is that Mordor now uses the Feral launcher. I absolutely love this game and completed it. I loved nearly every minute of it! If you still haven't picked it up, looks like now is an ideal time to do so. Love the fact Feral is still supporting their games after release. I have the game already but won't be playing it till I upgrade my GPU. But this is nice to see. With Vulkan ports coming this year I can't wait to see what games they bring to Linux. I'm replaying this game and I played it earlier today. When I tried to launch it a few minutes ago it started this massive 3.3 GB download and I decided that Steam got crazy! A very nice game I enjoy to play and finish, even one of the best experience to play on linux to date! My second AAA game (after Borderland2) I entirely played and finished on Gnu/Linux (a Lubuntu actually with a 750ti that did the job for a 2,560 x 1,440 monitor, thus nice work Feral ^^). Cool that they still release patch for it. Had this bug -though it looks so funny not sure I want the patch! Shadow of Mordor is one of my favorite games (if you can't tell from my avatar ). I hope this fixes it for AMD too. Brief report on my PC using Mesa + radeonsi, FullHD and medium settings: game seems a little faster, still stutters, but is playable. Do you know if they have fixed the PS3 wireless Bluetooth support? Good work, Feral. I feel a little performance improvement. With Ultra settings and 1080 in a i5-3550 and GTX950-2GB I have over 5 fps more than the previous version (26.4->31.83). Obviously, I don't use this setting to play this game (I use medium-high). I love this update simply for the addition of proper surround sound support. The only other times I've personally had proper surround in games have been in Minecraft and through Windows games in Wine. It's such a rarity right now and I hope this is a sign of things improving. This is amazing news! When I get Antergos installed, one of the first things I am going to do is get going on this game again. I haven't beat it yet but I really want to. My partner beat it way faster than I can manage.